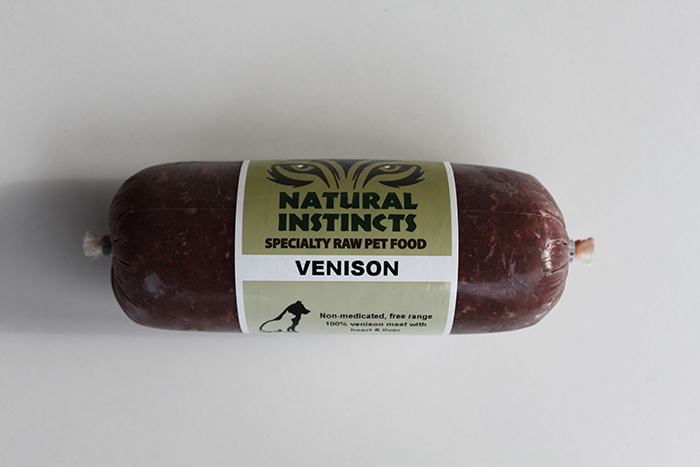 Meals for dogs are made up of 75% meat, organs and bone and 25% fresh vegetables. 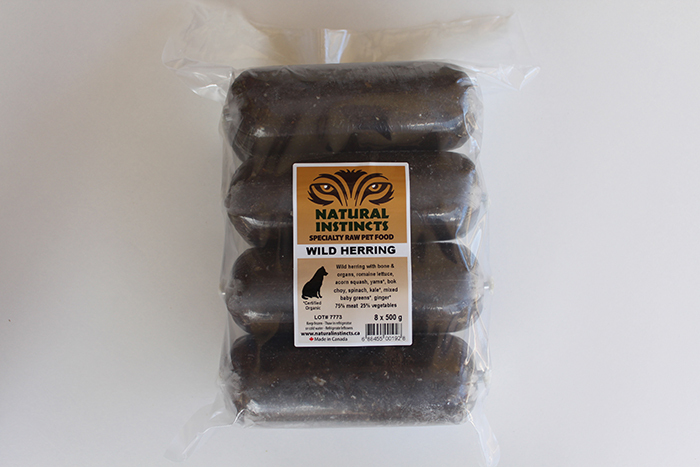 *Chicken, Turkey, Rabbit Wild Herring and Wild Salmon contain ground bone. 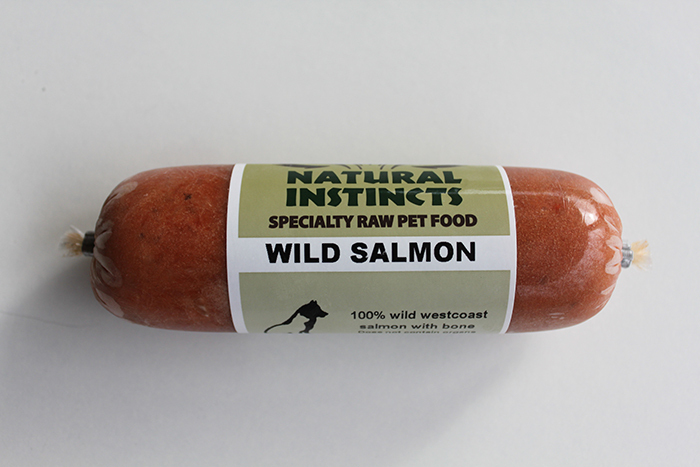 All varieties are supplemented with wild salmon oil (except Wild Salmon & Chicken), cod liver oil,natural source, full spectrum vitamin E and Dr. Dobias GreenMin (except Chicken, Turkey, Rabbit and Wild Salmon & Chicken as they contain ground bone). Chicken is also supplemented with free range egg yolk. All supplements are human grade. Meals for cats are made up of 100% meat,organs and bone. 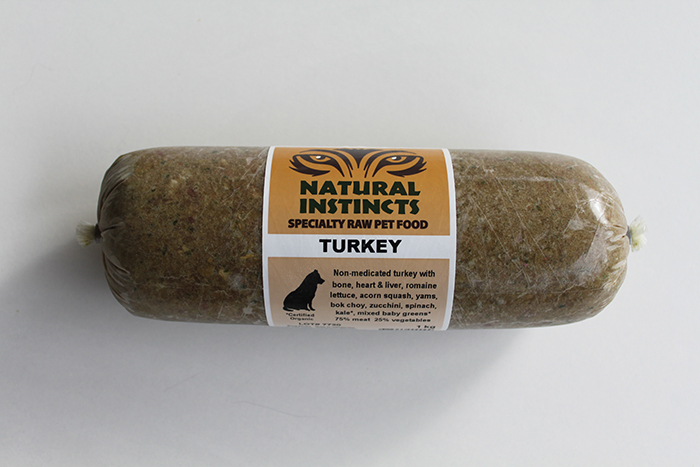 *Chicken, Turkey, Rabbit and Wild Salmon contain ground bone. 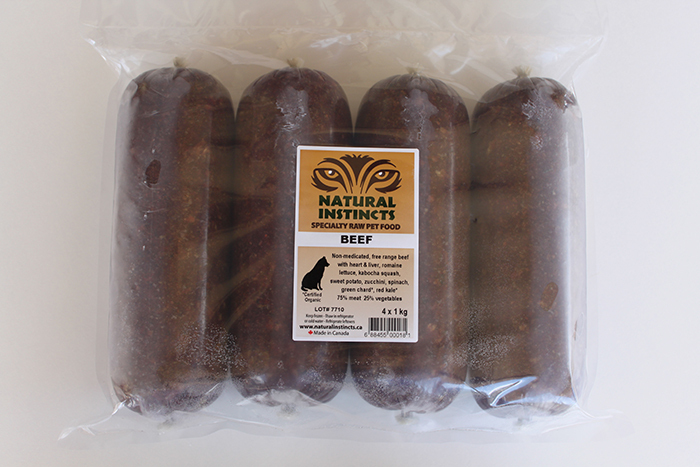 Natural Instincts offers individual meals for dogs and cats and also have meals suitable for both dogs and cats. Our vegetable blends are also available packaged separately. 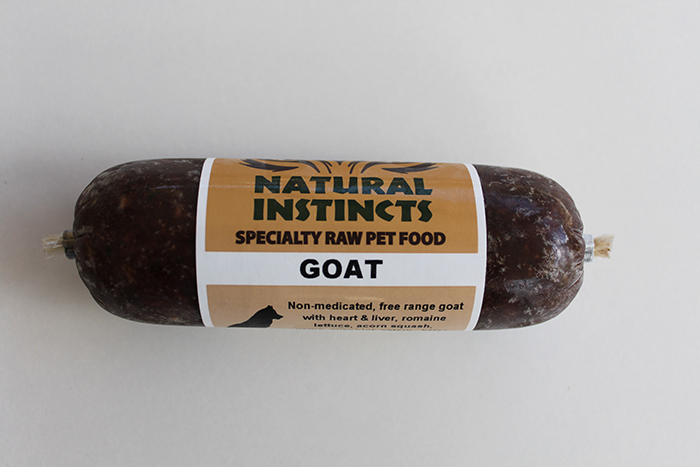 As with the Natural Instincts Meals for Dogs we vary the blends to provide variety for your dogs diet.Natural Instincts Vegetables are available in 1/2 lb, 1 lb, 2 lb sizes. 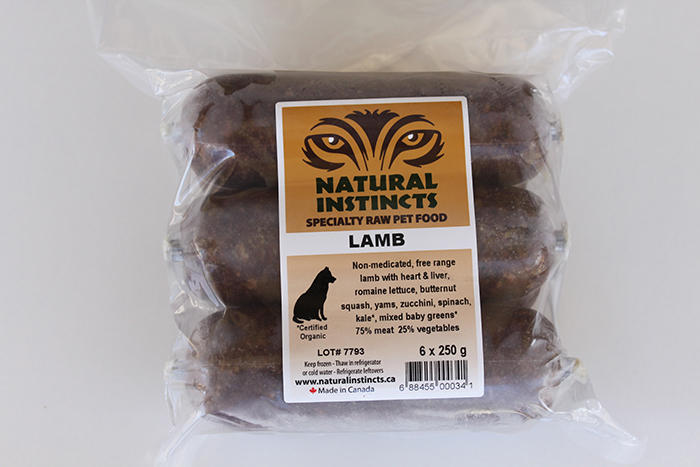 We also offer individually packed Lamb Shanks, Lamb Necks and Chicken Carcasses for your dog. 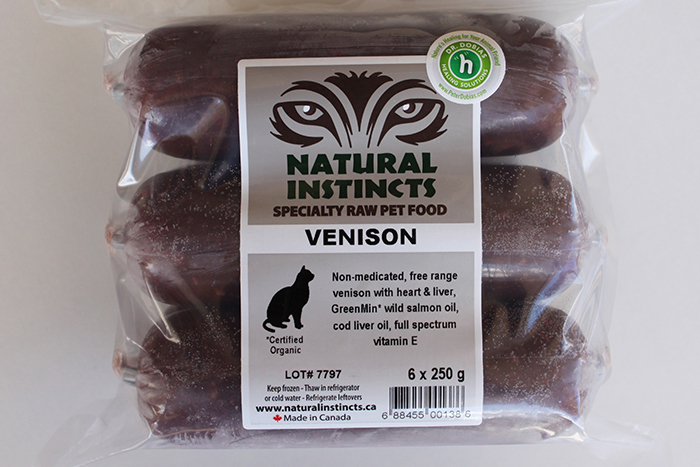 They are raw meaty bones and can be fed as a meal for your dog to enjoy on occasion. 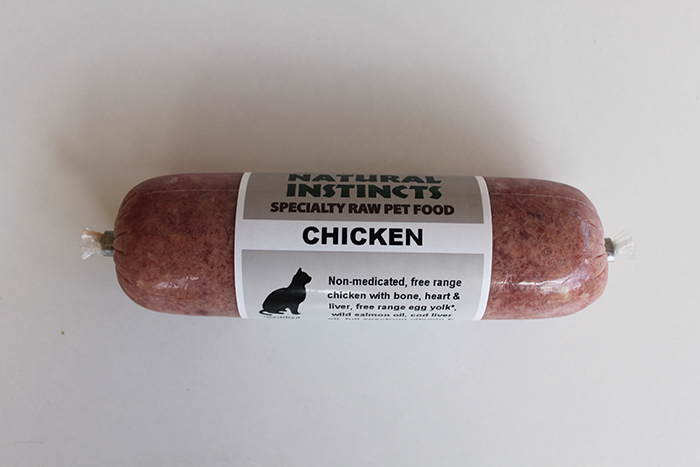 Varieties of meat with organs without any added supplements are available for those that wish to customize them for your pets specific diet. 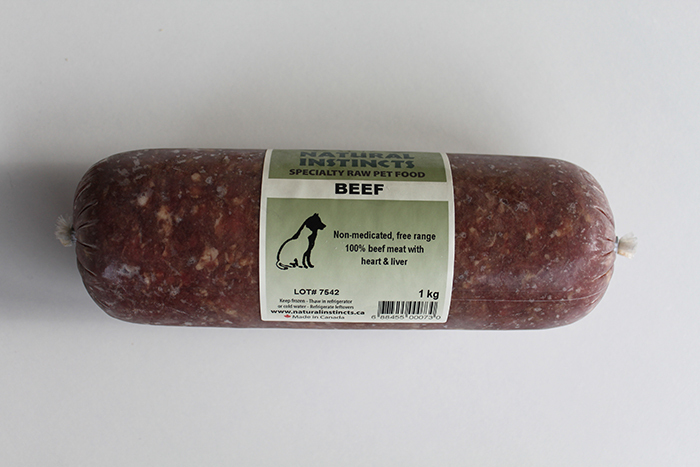 Meats for Dogs or Cats are available in: 250g, 500g, and 1kg singles 6 x 250g, 8 x 500g, and 4 x 1kg bulk packs. added water, colourants or bone meal. 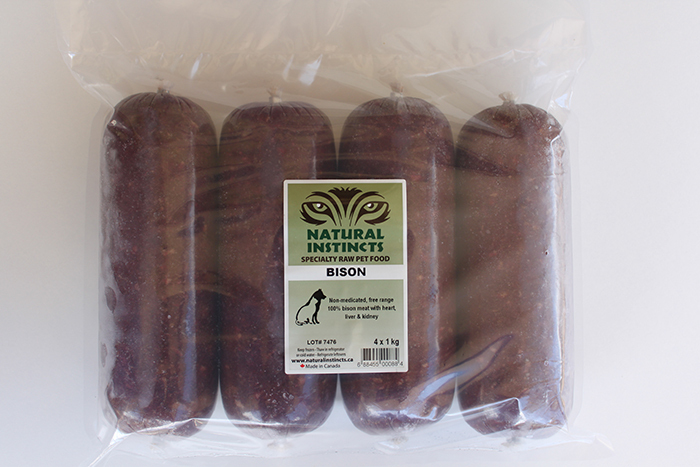 All meat used in Natural Instincts products is human grade and non-medicated. 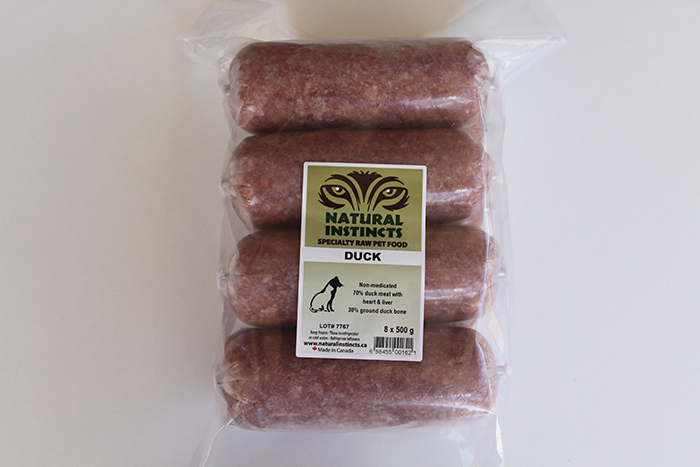 Most is free range and some certified organic or wild. Organ meat (heart & liver) is included in all varieties except Wild Salmon. 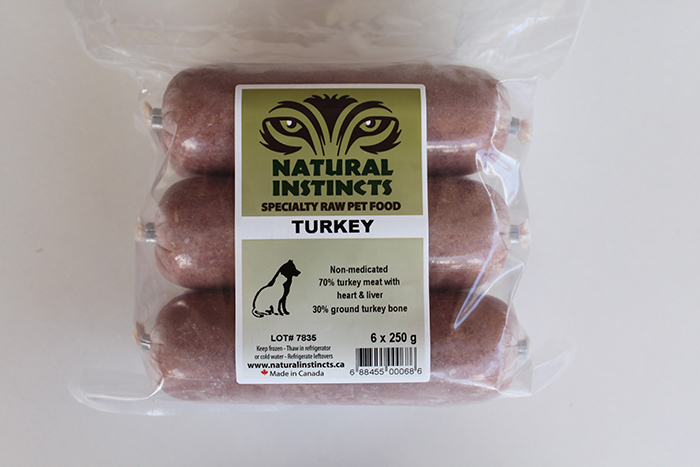 Chicken, Turkey, Rabbit and Wild Salmon include ground bone as they are made using the whole animal or a combination of all or some of whole animal, meat, bone and carcasses. Our Meals for Cats that do not include bone are supplemented with Dr. Dobias GreenMin, a 100% natural, highly bio-available, whole food based calcium supplement. We only use fresh vegetables with an emphasis on leafy greens (minimum 50%) such as leaf lettuce, romaine lettuce, spinach and chard. Winter squashes, zucchini, small amounts of root vegetables as well as an assortment of others provide a balanced blend of vitamins, minerals and complex carbohydrates. With the focus on using high quality vegetables and not filler vegetables we use both organic and conventional vegetables in our meals, this allows us to keep leafy greens at a high percentage to provide the nutrition your dog needs. They are listed on the label in order of greatest to least. 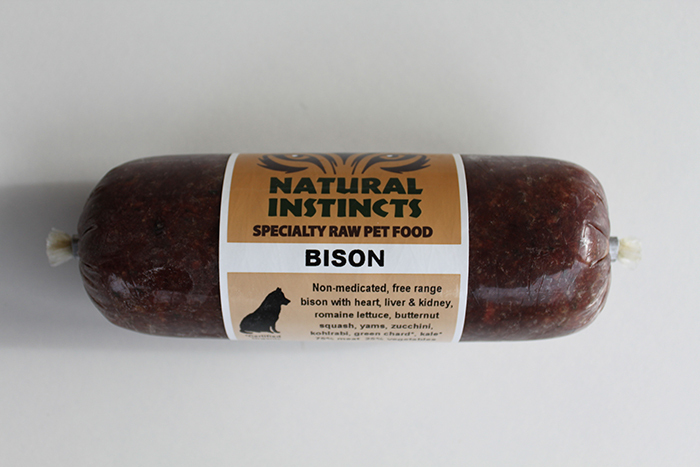 We vary the vegetable blends from batch to batch to provide variety for your dog’s diet.